The Judgment by Division Bench comprising Justice Sudhir Agarwal and Justice Shashi Kant delved into legal issues raised such as the applicability of the Evidence Act and the Code of Criminal Procedure in contempt proceedings and security of judges and court. In this case, the advocates, led by President of the District Jalaun Bar Association, Orai, were unhappy with Special Judge Shri Manoj Kumar Shukla (Informant-Presiding Officer) and they pressured him to retire in chambers as the advocates had in unison decided upon abstaining from attending court, and when the Informant-Presiding Officer refused to comply with this order and attended court, he was allegedly manhandled, assaulted and insulted. The district judge had not taken appropriate action against this conduct, and the Informant-Presiding Officer reported this to the administrative judge, who then forwarded the matter to the Chief Justice (CJ). The CJ conducted a fact-finding inquiry, done by Sri Virendra Kumar-II, Special Officer (Vigilance), High Court, Allahabad. In the light of the findings recorded by S.O. (Vig. ), the matter was assigned to committee dealing with contempt reference from subordinate courts and on prima facie finding a case of criminal contempt, made recommendation whereupon Chief Justice directed the matter to be placed before the court having the jurisdiction. 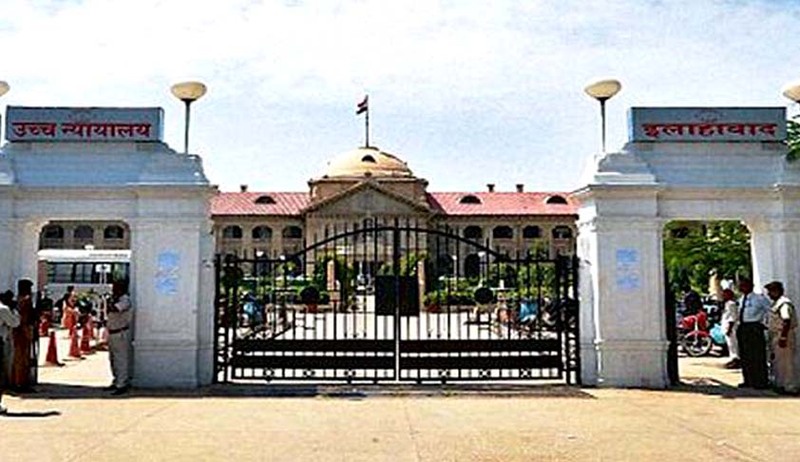 The court had found the advocates to have raised slogans and assaulted the judge by throwing the CPU of his computer and pen holder, creating ruckus and ransacked dais of the court, and in the incident some advocates also sustained injuries and prima facie case of ‘criminal contempt’ was found against the aforesaid advocates, as their acts amount to scandalising the court, interfering and obstructing administration of justice, tarnishing the image of court and lowering the dignity and authority of court. As a result of this, a show cause notice was issued against the advocates as well. The major evidence relied upon by the Informant-Presiding Officer was the video footage recording the incident. The opposing parties had contended that the footage was submitted after a gap of six to seven days, which gave enough time for manipulation of the evidence. Interestingly, it was not denied that the judge assaulted was revered for his honest character. They also accused judge Shukla of being abusive in his daily practice. The court took notice of the contention that it is the bounden duty of all advocates to ensure that majesty and authority of court is maintained by all concerned. Whatever may be the reason, no one has any justification to create a scene in court, disturb court proceedings, raise slogans and address court in an abusive manner and all these things are unpardonable. An objection was raised that the video recording was not admissible because it was private property (recording obtained from the judge’s laptop camera). The court, however, held that contempt proceedings against the court need not be proceeded like criminal trials where provisions of the Code of Criminal Procedure and the Evidence Act are to be adhered to strictly. The manner in which evidence has been collected is not relevant but it is the substance and creditworthiness of evidence which can be and has to be seen. Though there was a contention that the video could have been tampered with, no expert’s opinion substantiating the claim was submitted and the only valid objection was that there was no sound in the video. Since there are no supporting documents to substantiate the tampering of video footage, the depiction in the video recording couldn’t be said to be unbelievable or inconsistent. The court finally held that even though provisions of IPC, CrPC and Evidence Act were not applicable in contempt of court proceedings, yet even if they were, scientific and electronic evidence is admissible under Section 65B of the Evidence Act. The court observed that it is the constitutional obligation of the High Court to ensure the safety and upholding the dignity of not only the courts, but also of the judicial officers manning the same. The foundation of judicial system is based on the independence of those who man it and this can be ensured by providing a safe, well protected environment to the judicial officers working in subordinate courts so that they could work with utmost devotion and sovereignty. In the light of this, no one, whether a litigant or an advocate or anyone else, can be allowed to lead a demonstration so as to tarnish and destroy system of administration of justice by vilification of a judge. It was agreed that although judges are well capable of taking care themselves but when question of assault, manhandling arises, where an individual gets out-classed by large group of persons engaged in such activities, it is not judicial capability of such individual, but on-the-spot capability of those who had indulged in such an activities, which has to be taken care, else it is difficult to ensure a fair, unbiased and independent functioning of a court of law. The judges were “really shocked and disturbed to see that officer responsible for appropriate action i.e. district judge, himself failed in tackling the situation”. The court held that the role of individual contemnors was not seen for the reason that in collusion with common intention, they caused the incident by forcibly entering court room, disturbing court proceedings, damaging court property, abusing and assaulting a judicial officer. Thus every contemnor (advocate) is responsible committing criminal contempt of court and responsibility of all advocates was held to be equal. After examination of the facts and circumstances, punishment of six months of simple imprisonment and a fine of Rs 2,000 each was awarded to seven out of 10 of the advocates. They were also barred from entering the court premises of Jalaun at Orai for one year, commencing from 23rd September, 2016. Further, if the advocates restart their practice after one year, they are to be placed under the constant watch of the district judge at Orai for three years. Charges against three advocates were dropped. However, after the judgment was delivered, the advocates stated that their sentence should be deferred so that they could avail remedy of appeal under the Contempt of Courts Act, 1971. Upon hearing this statement, the court suspended the order of punishment of simple imprisonment for two months to enable them to file appeal under Section 19, if so advised.